The “Classicissima” will always be considered as one of the most charismatic race of the cycling year. And it actually is, because its characteristics are, technically speaking, unique. No other race can compete with a 300 kilometers long bicycle ride. And moreover it is open to everybody’s dreams. Every true sprinter dreams of celebrating on the Via Roma one day - but as not only the last two years have proven, also for a climber or puncheur there's reason to hope. The race follows the classic route that has connected Milan to the Riviera di Ponente for the past 110 years, namely via Pavia, Ovada and Passo del Turchino, before descending towards Genoa Voltri. From here, the route heads west, passing through Varazze, Savona, Albenga, Imperia and San Lorenzo al Mare where after the classic sequence of the “Capi” – Capo Mele, Capo Cervo and Capo Berta – the peloton negotiates two climbs that have become part of the route in recent decades: the Cipressa (1982) and Poggio di Sanremo (1961). The Cipressa is just over 5.6km long with a gradient of 4.1%. The descent leading back down to the SS 1 Aurelia road is highly technical. Since the new UCI Pro Tour system was introduced in 2005, the only winner from one of the invited teams was Gerald Ciolek in 2013 though. 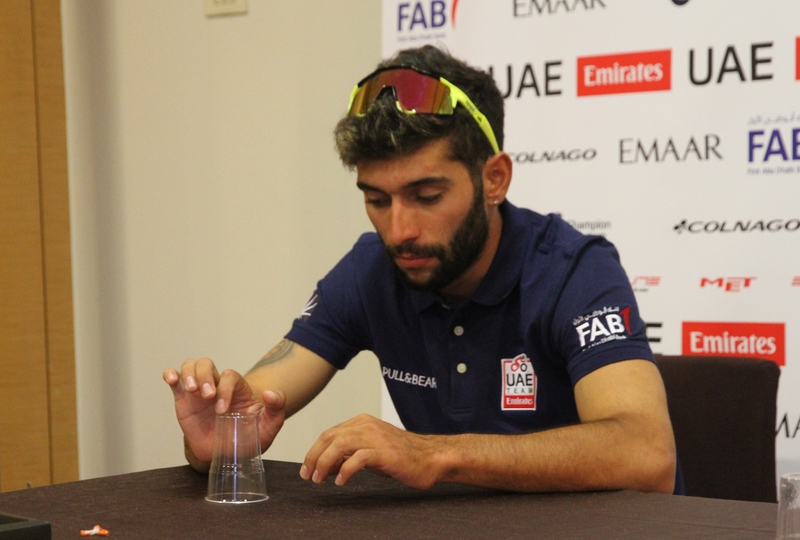 Looking at the competition, this is unlikely to change this year, even if T-72 will keep all his fingers crossed for Davide Cimolai to finally take his first big victory. The most named sprinters to challenge Cimolai for the win on the Via Roma are Elia Viviani, Caleb Ewan, Sam Bennett, but with former winners Alexander Kristoff, John Degenkolb and Arnaud Demare not to be undererstimated as well. Also Dylan Gronewegen has proven his speed over the past weeks, but as a late additoin and with this race not initially on his schedule, the distance could turn out to be a problem for him. Peter Sagan always used to go into the race as the big favourite, almost imposible to shake off on the climb, super fast in a sprint, but now things have changed a bit. His preparation wasn't ideal, losing lots of weight and training time due to sickness, and with Bennett a potentiall quicker man has emerged in the same team. 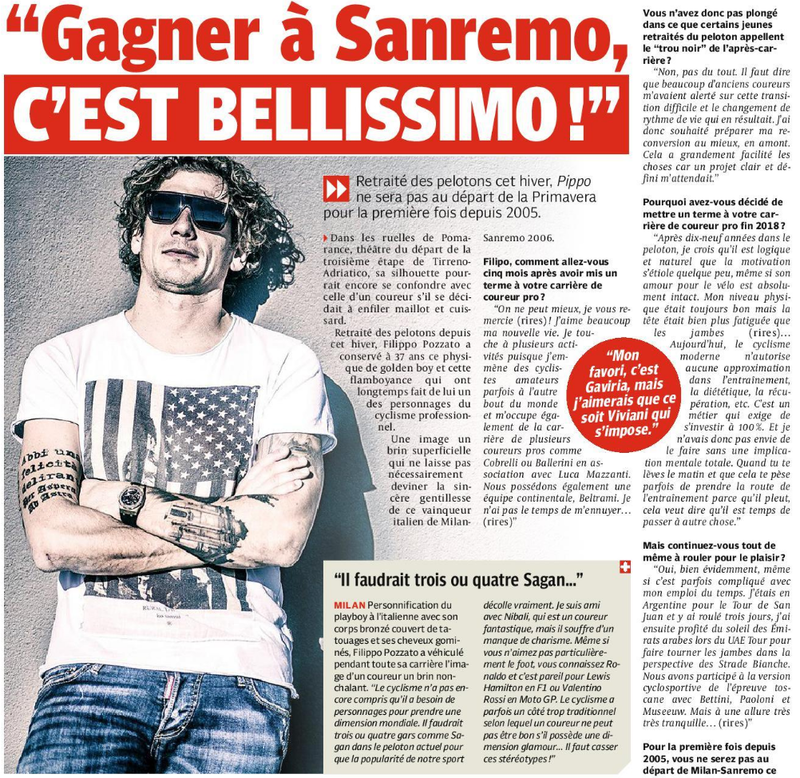 This may give him a bit more freedom on the one hand, but it also means that he likely needs to attack on the Poggio to have a chance to win the race. Others who will have the same plan, and have showed better shape recently, are for example Julian Alaphilippe, Greg van Avermaet, Alexey Lutsenko or the pair of Simon Clarke and Alberto Bettiol. Mind you, Clarke has alomost won the race before. According to Carlton Kirby that is. Vincenzo Nibali last year showed how important descending skills are to take a solo victory, so also his team mate Matej Mohoric springs to mind as a potential winner, while guys like Enrico Battaglin - as he does so every year - or Krists Neilands look almost certain to give it a go in an attack again, but will probably have difficulties really finishing it off. Others who will have the same plan, and have showed better shape recently, are for example #deceunick Julian Alaphilippe, Greg van Avermaet, Alexey Lutsenko or the pair of Simon Clarke and Alberto Bettiol. Mind you, Clarke has alomost won the race before. According to Carlton Kirby that is. What's the best placement Valverde has ever had in San Remo? I don't think he's ever been close, has he? Caleb Ewan has proven that he has what it takes to get over the Poggio. If he can time it right, could his super-aero posture see him move up a spot this year? all the RCS races are now on Flobikes and Fubo.tv, as far as I know. Flobikes actually covers a lot of races, so it may even be worth the money. Try to stay away from everything with "Ian & Friends" though. Any idea what time they are expected to start the Cipressa? By the way, a detail but correction, the Poggio was introduced in 1960 (win for René Privat), not 1961. The race timetable says they'll hit the foot of the Ciprese between 16:07 and 16:44. So probably something in between. What's this thing with monuments on a Saturday? Pagans! Sundays are for Monuments! And of course Cimolay will take this, he's even in shape now! By the way, I actually think this is the best race on the calendar. It just keeps getting better, and Nibali's win last year was a fantastic one. 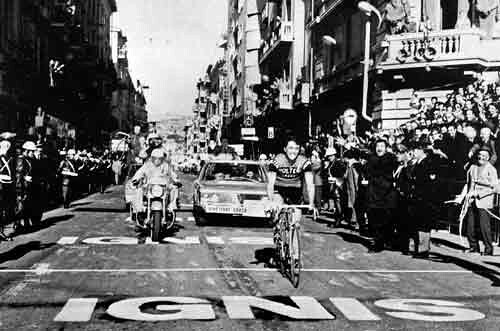 I hope the race will be won differently this year, someone goes on the Cipressa (for once in 30 years or so) or a group sprint. bring Magnus Cort, though. And while he may not be as all-conquering as Lutsenko, The Sun King is in good form. Plus he's Danish. Not pagans. Catholics. It's so that everyone can hurry into church the day after and the attendance at Sunday service isn't diminished by people prioritising a bike race over hearing the word of the Lord. Maybe once upon a time (and therefore establishing the tradition), but far more likely to be avoiding a clash with football, I would suggest. Catholic Masses generally take place on Sunday mornings, not mid-afternoon when the race would have high viewership. If morning disruption in Milan were the issue, then there would be far more shoppers inconvenienced on Saturday than churchgoers on Sunday, I suspect. Sanremo and Lombardia have always been on saturdays even though Sanremo was moved to sundays some years. Yeah I think it has more to do with football than church. More like beach weather than classics weather forecast for the race. Low 20s and wall to wall sunshine. Should be a fast race. I thought there was talk a few years ago about bringing the Italian monuments in line with the Northern ones, by moving to Sunday? Saturday is just better. What I tried to say above was that Sanremo was raced on sundays for a couple of years not that long ago as far as I remember. yeah, they moved it back to Satuday in 2016, the years before it was on a Sunday. I can justify staying up for the 15mins of excitement on a Saturday... woooo. Always a brilliant last hour that needs the 4 hours before to be extra fun. He thinks Gaviria is the favorite. But according to him, Gilbert stands a good chance as well, winning in the same fashion as he did himself back then as a team mate of Bettini & Boonen. I've also always heard the Saturday schedule had to do with football. Besides, the nice thing about Milan-Sanremo held on Saturday is that the Via Roma is full of shops. So when held on Saturdays, you could see crowds on the balconies cheering because the shops are open. When it was held on Sundays a few years ago, there were nobody there because shops are closed of course. Just have a look at those 1970 pictures with Michele Dancelli winning. Aaaaaand! It's AAAAaaaaalaphillipe! On FIRE! Fantastic race! 20km out, and Bonifacio creates a gap on the descent of the Cipressa. IMPRESSIVE!!!!!! DESCENDING!!!! He gets the gap to 22 sec, but gets brought back before the Poggio - and the Poggio! O my. You know we whinge about how Sky has such a strong team - but today Alaphillipe has Stybar and GILBERT as doms! It was 8 or so in a pack on the descent of the poggio. Kwiat, Dumoulin, Alaphillipe . . .elite. Inside the last km, and Alaphillipe is on SAGAN's wheel with Sagan on the front! Matt Stephens as announcer - I like. Very sober approach, very knowledgeable. actually wasnt too bad considering absolutely nothing happened on the Cipressa ... so we thought it was to be another bunch sprint. Ended up being pretty good though - and kudos to Alaphilippe, he deserved the win. Quickstep did a lot of work to put him up there, and he finished it for them beautifully. I do always like to see the teams that do the work get the win ... much better than say GVA winning when CCC didnt so much as make the front 20 guys at any stage during the race. DQS, Sky, Bora. Mitcheloton Scott and FDJ all did a fair amount at the front so all deserved their shot at the title. Unlike AG, I'm usually amused when a team that did all the work fail to have a winner. Usually those teams account for a boring race, preventing any breakaway from holding through and paving the way for a bunch sprint. So I guess it would make my day. In this case however it was really well deserved win for Julian Alaphilippe. He initiated the decisive move on the Poggio, he did much of the work afterwards along with Michal Kwiatkowski and then won the sprint. What more can we ask. Amazed by Oliver Naesen and Wout Van Aert too, I didn't even know they were in the group. However why the hell did Wout have to chase Trentin, it wasn't his job to do so. The great thing once again is that Milan-Sanremo does not end in a bunch sprint, three years in a row, three finishes on the Via Roma and three breakaway prevailling. No need for an additional climb, no need for Le Maniè. 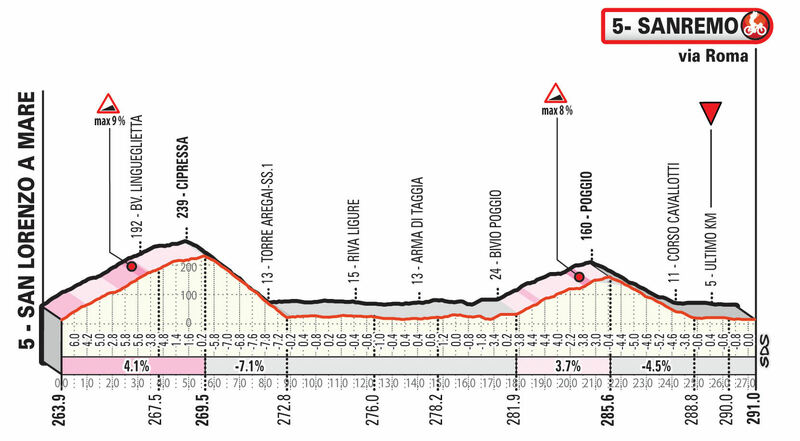 Milan-Sanremo on this course is a major classic and a hard one. I guess there's going to be some bunch sprints again in a near future but not as consistently as in the noughties. That was really abnormal back in the days. Back then everybody said I was crazy claiming that Milan-Sanremo was not essentially a race for sprinters and that we were living an abnormal era. Now we seem to be back in the norm. 27 seconds between the winning group and the peloton with all the sprinters, pushed back to 12th place. Really, let me cheer. I read some interviews with Aleksander Kristoff before the race and for him, Cipressa is the major obstacle, the harder climb and the one he struggles with. The Poggio, in contrast, is considered a much easier climb. I haven't checked with all the other sprinters but extrapolating a little the Cipressa can still be verdy deciding in how the race is going to end, but we don't see all of the effect of it until the Poggio. The lactic acid in the sprinter's legs is sometimes well hidden on the descent. .. and by the way, what's wrong with a bunch sprint ? An exceptionally astute breakdown for this race, even by Cosmos standards. He really does possess quite the keen eye for details.